Tobacco Road | Sprezzatura, Y'all! Friday morning was beautiful so we took a long walk through the tobacco fields. It’s harvest time and the fields are in different states of denuding. I can’t figure out the tobacco harvest methodology. Some fields are stripped completely clean and others they take only the top leaves or just the bottom leaves. But the curing houses are in full swing – smoke coming out of the tops and the smell of tobacco wafting through the air. It’s quite a juxtaposition – the clean, fresh air here being mingled with tobacco curing. 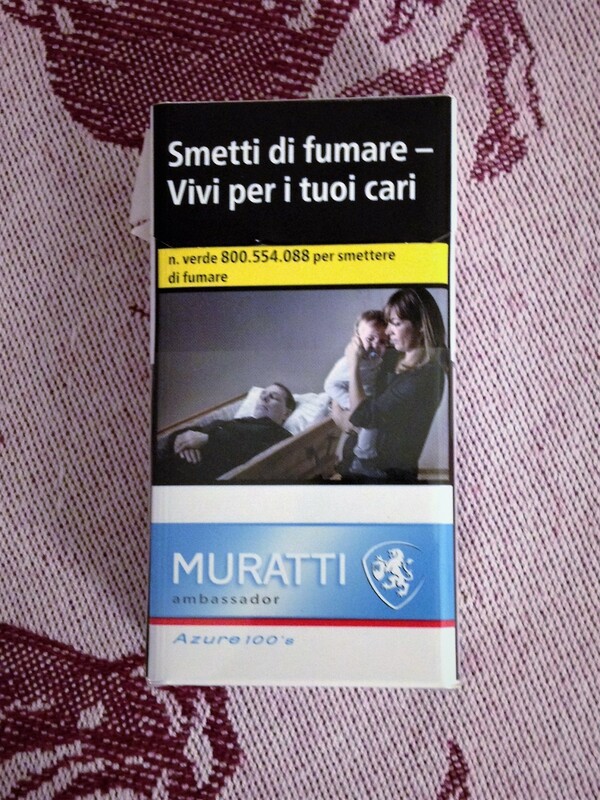 But since almost every Italian smokes, I guess it’s somewhat appropriate. When we lived here, walking through the tobacco fields was one of our favorite walks. As odd as it sounds, it really very beautiful. Tobacco plants are quite lovely, low and leafy they make a dramatic base for the undulating landscape. We would also let Millie off her leash when we walked through here and let her run or just sniff all the tobacco field smells. Horses routinely walk through there – we see their shoe prints – and I know wild boar live all over, and who knows what else there is for a little urban dog to smell. We miss Millie everyday, but especially on this walk. This is another one of those areas where you go out of the old city walls and two minutes later you’re in full-on country. Walking to the fields is easy – it’s all downhill. It’s coming back up that’s the challenge. It’s amazing to me how steep this town is. Building a hill town is really an engineering marvel to me. There are so many hills and valleys in this country, I can see why they chose to build on the hill tops. But how they did it back in the 12th and 13th centuries is fascinating. Imagine hauling all the supplies and equipment up by horse power in carts. But I’m so glad they figured out how to do it and that time and the elements have left them largely undisturbed. Since time is drawing to a close for us, we decided that we’re just going to have to eat heartily at every meal. No more big lunches and light dinners. So after our walk, we cleaned up and went to Gran Duca for lunch. It’s like eating at home for us. We’ve had everything on the menu because we’ve eaten there so many times. And the family that runs it are such dear, sweet people and we love them so much. This is the third time we’ve eaten there this trip and we’re debating going there one more time before it’s all over. They had ribollita – a vegetable soup thickened with leftover bread. It’s very simple and many Italians frown upon because to them it’s like a peanut butter and jelly sandwich. Something they’ve had thousands of times. But to us, a good ribollita is divine. It’s hearty without being over the top and you feel a little good about eating it because it does have a lot of vegetables in it. It’s cooked until it’s this wonderful mushy, thick, stew-like thing that warms your soul. They only serve it during fall and winter when you need something warm to keep you going. We also shared some grilled steak and a nice big salad. And some chickpeas cooked with lardo. Lardo is just what you think it is. Fantastic. After lunch we went to see Livio and Anna’s apartment. They recently took over the space next to them and almost doubled their space. 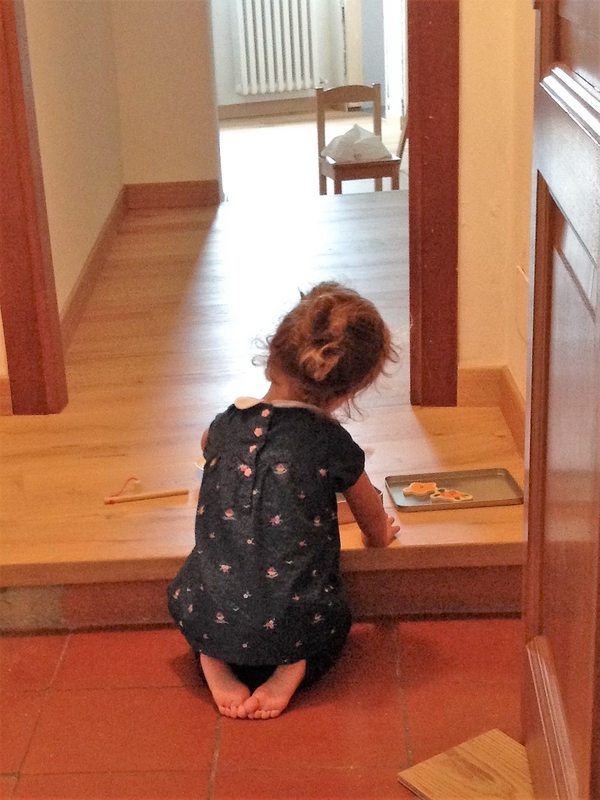 They’re expecting a baby in November and have three-year-old Francesca. Their place is great – it’s in one of the oldest buildings in Anghiari and they’ve taken over three apartments to make one large flat. We had good time watching them try to corral Francesca, who is just like a three-year-old in any country, except she speaks Italian and German and is learning English. The view from their window is spectacular. It’s over the countryside – the tobacco fields – and the mountains beyond. I asked them if they have become complacent and don’t notice it or if they appreciate it. They said they love it and start everyday by spending time looking at it. Nice. For dinner we went to Rosella’s. Michelangelo is in the US on a business trip, so Anna and Rosella wanted to have us over one more time before we left. What a feast we had. Rosella does this baked polenta dish with cheese and ragu that is so good. But a meal at Rosella’s is not complete with just a fabulous first course. She then had roast lamb and sausage and roasted potatoes. And an apple cake. And since it was my birthday eve, we had prosecco before dinner and with dessert. And I got the most lovely gift from them – a pair of gorgeous silver earrings. As far as birthday eves go, this one was up there with the best. However, our decision to eat until we drop may just kill me. The polenta thing was so good, I had to have a second helping. Why? One was PLENTY, but in my quest to eat everything in Italy before Tuesday morning, I thought it best to have more. I don’t know when I’ve been so full. As good as everything was, it was too much. There, I said it. I ate too much. But I woke up Saturday morning hungry again.